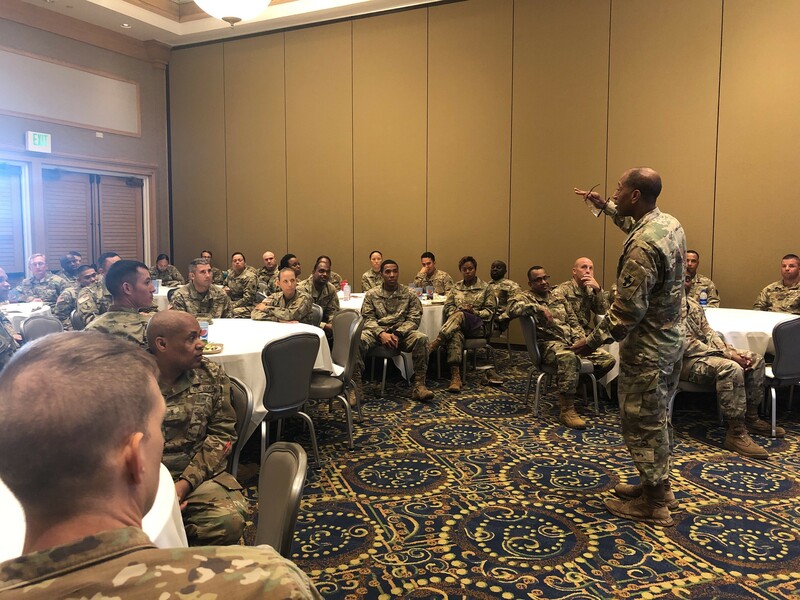 FORT SHAFTER, Hawaii -- The 8th Theater Sustainment Command kicked off their first officer professional development session of the 2019 new year with a gathering of the Army's technical experts; warrant officers. Warrant officers from across Oahu gathered here at the Hale Ikena Club, 15 Jan. to discuss their roles, responsibilities and ways to empower their cohort. 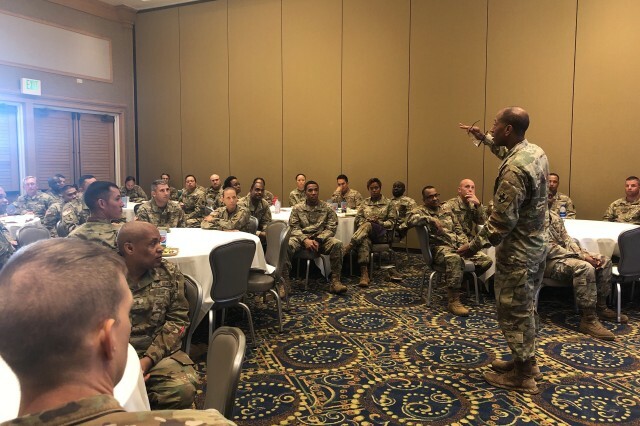 "It's important that we come together as a cohort, to discuss the challenges and concerns that affect us all," said Chief Warrant Officer 5 Ronald Panter, the 8th TSC Command Chief Warrant Officer. "We have to stay synchronized in all areas to remain a productive united force." 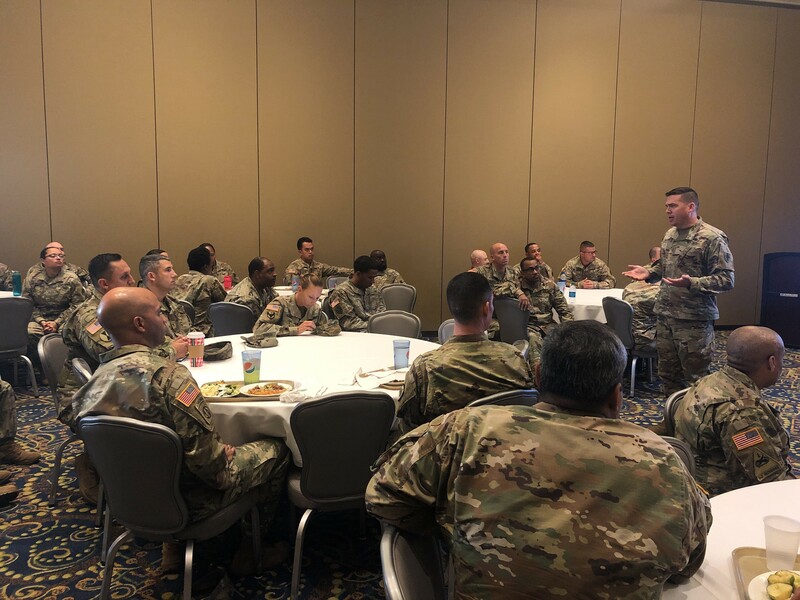 The session also facilitated discussion about the current identity and future of the Army's warrant officer. Maj. Gen. Charles Hamilton and Command Sgt. 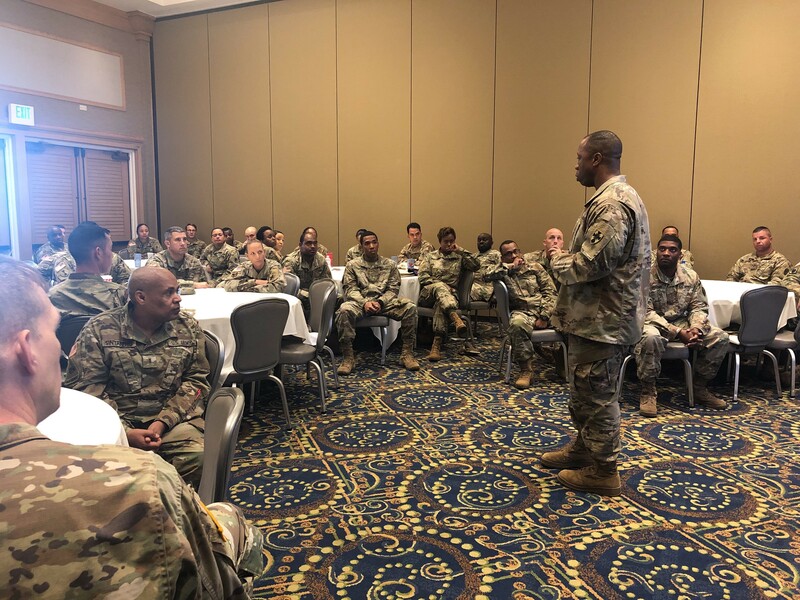 Maj. Maurice Chaplain, the 8th TSC Command Team attended the session, providing opening remarks and answering questions. "When I was coming up in the Army, warrant officers were the technical experts" said Hamilton. "Today, they are experts, leaders, AND trainers. " The Warrant Officer Corps celebrated its 100th birthday on July 9, 2018. The Army warrant officer was born based on a need for technical experts and leaders in support of mine planting operations during World War I.
Expectedly, the corps evolved since its inception to better define its roles and responsibilities, making changes to its training, promotion requirements and even rank structure. The Army' s first official warrant officer training school was opened in 1918 in Fort Monroe, Virginia and produced the Army's first 40 warrant officers. Today, there are more than 26,000 warrant officers across the total force. Currently, many of the Army's branches require a warrant officer candidate to have experience in an enlisted feeder MOS to qualify for accession and appointment. Therefore, enlisted Soldiers serve as a crucial pipeline of talent that supplies the cohort. 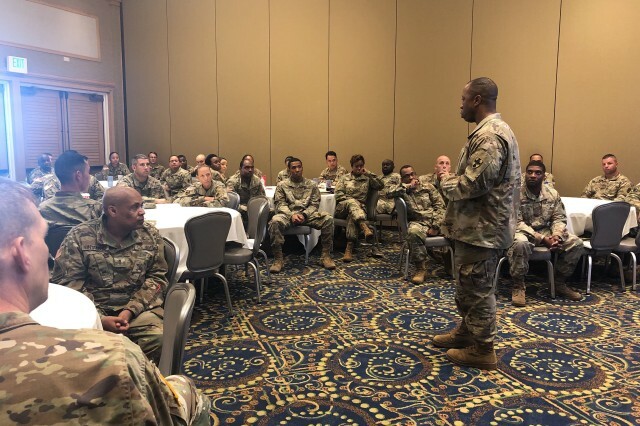 "You have to be sure each and every Warrant officer deserves to be there, make sure they are good NCO's, because if they aren't a good NCO, how will they be a good warrant officer?" added Command Sgt. Maj. Chaplin. Besides their technical prowess, warrant officers are relatable. Based on their experience, they have the ability to see problem sets with various lenses, making them great problem solvers as well as trusted advisors to their commanders. 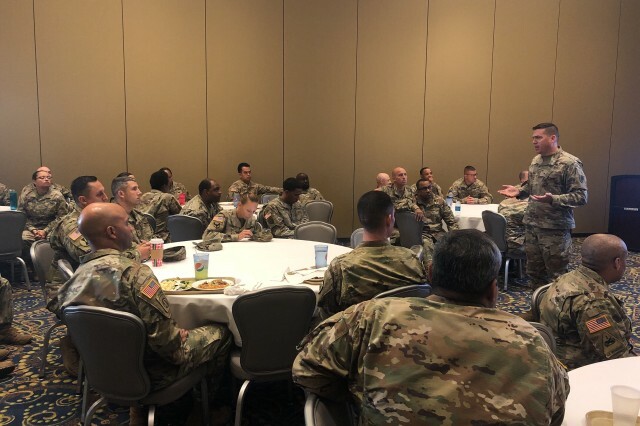 "A warrant officer is the officer I believe can relate to both Soldiers, non-commissioned officers, and officers because they have previously served and are currently serving in those roles," said Chief Warrant Officer 3 Juddy K. Streat, who attended the session and currently serves as the 8th TSC Senior Property Accounting Technician. "We are expected to provide guidance and of course our technical expertise to the command on all areas of operations in which we are qualified."